Belgian Style Quad (CANarchy/Deep Ellum Brewing Co.). Deep Ellum Brewing Co. of Dallas has announced the return of Barrel-Aged Four Swords Belgian-Style Quad, with initial deliveries expected to begin October 26. Four Swords was originally added to Deep Ellum's portfolio in late 2013, with a barrel-aged version rolling out a year later. Past editions of Barrel-Aged Four Swords have utilized Cabernet and whiskey barrels, but Deep Ellum chose to age Four Swords in new oak barrels for this latest release. "The charred oak compliments the roasted malts, while dark fruit esters add a layer of complexity to the beer," says Ty McDonnough, lead brewer at Deep Ellum. "Four Swords has a strong fruity aroma with a sweet oaky finish, which pairs well with rich foods such as smoked ribs and delicate desserts." According to a press release, dried cherries and figs mingle with notes of toffee, rustic oak, marshmallow and vanilla in the finished beer, with the combination resulting in a "delicately balanced and complex specialty brew that clocks in at 10.5% ABV." 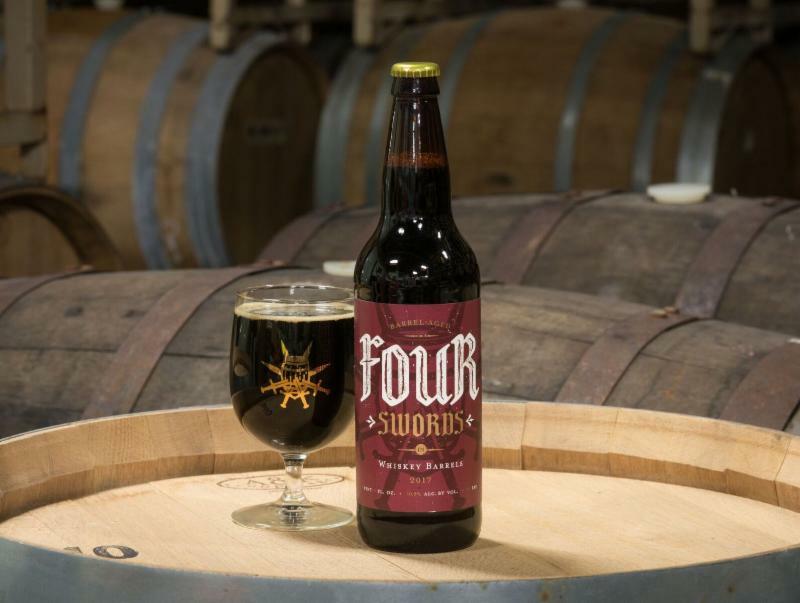 Look for Barrel-Aged Four Swords to be available on draft and in 22-ounce bottles.